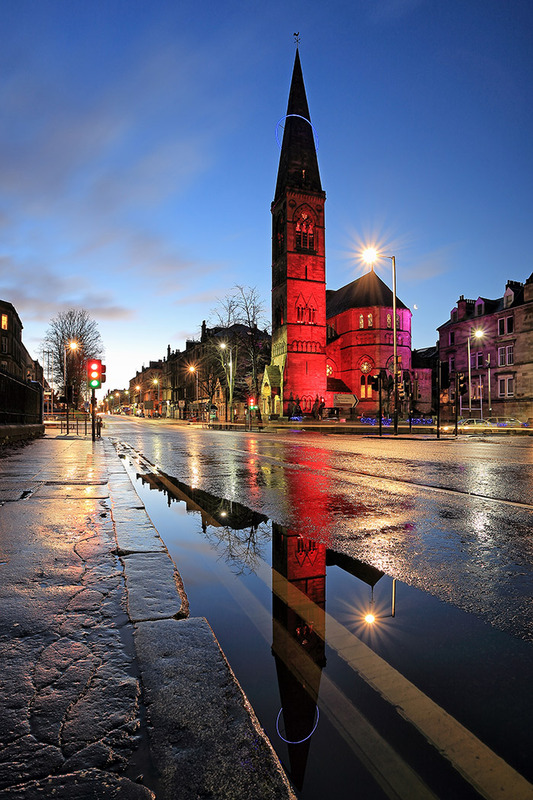 A few of my favourite Glasgow images photographed at evening twilight including six of my latest images shot in 2016. 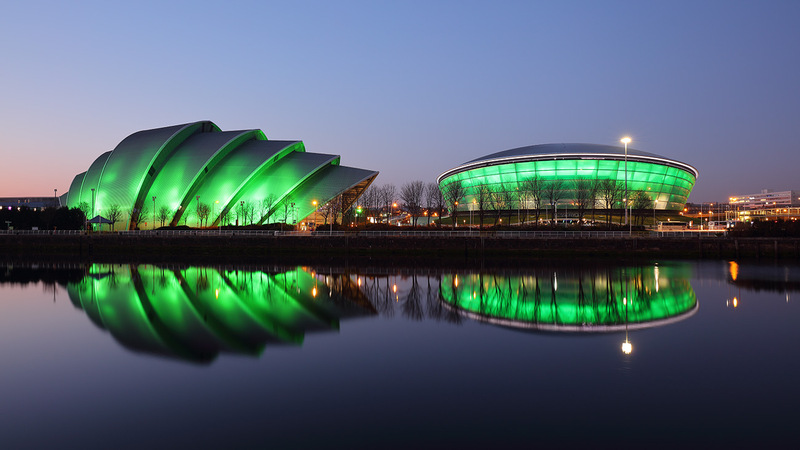 The Clyde Auditorium and Hydro Arena lit up green and reflecting on the River Clyde at evening twilight. 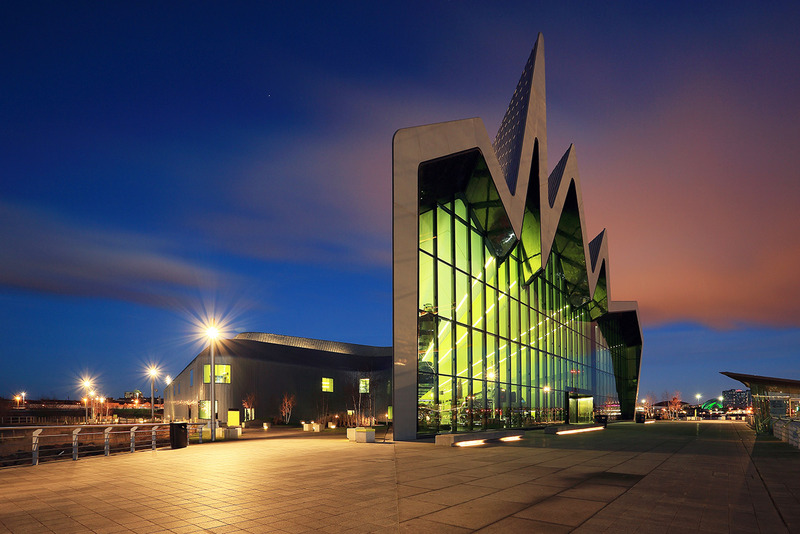 Night shot of the Riverside Transport Museum, Glasgow. 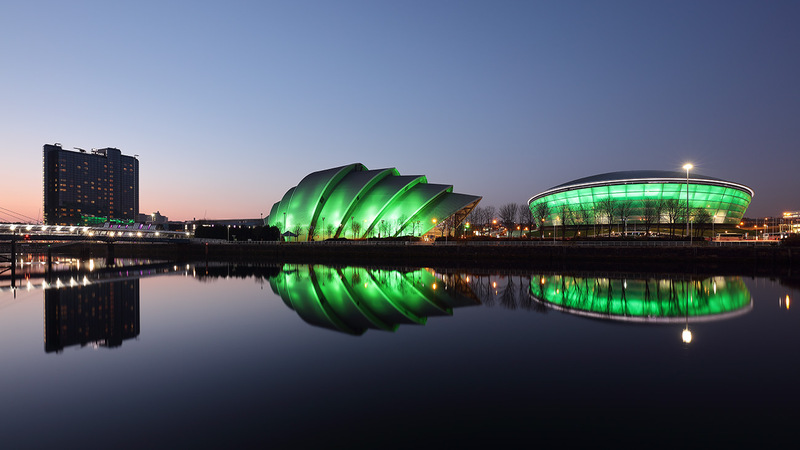 A panoramic image of the River Clyde at evening twilight. From left to right: The Crowne Plaza Hotel, Clyde auditorium, Hydro Arena, Finnieston crane and the Clyde arc bridge. 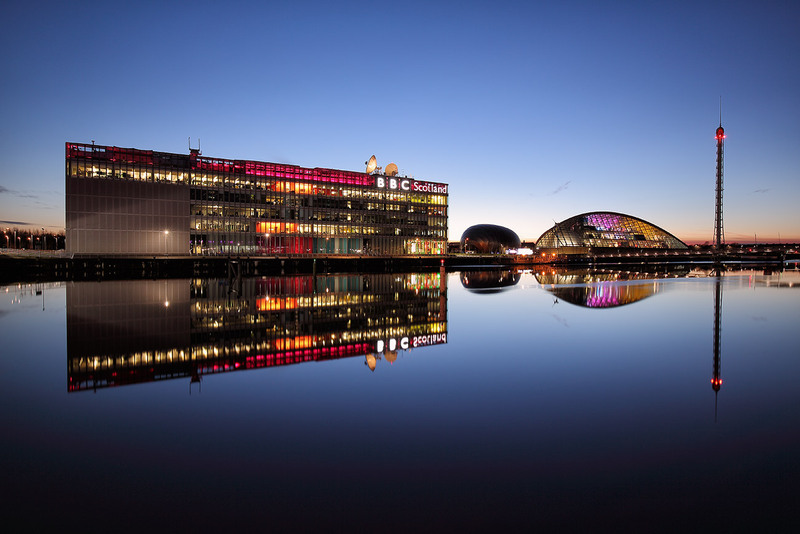 Evening twilight reflections of the Glasgow Science centre, tower and BBC studios on the River Clyde. 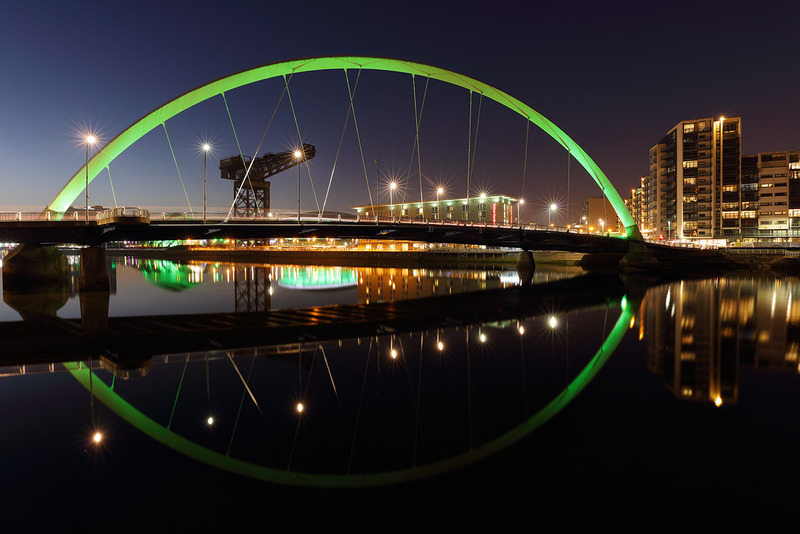 The Glasgow Clyde Arc bridge at evening twilight reflecting on the River Clyde. A panoramic image of the River Clyde at evening twilight. 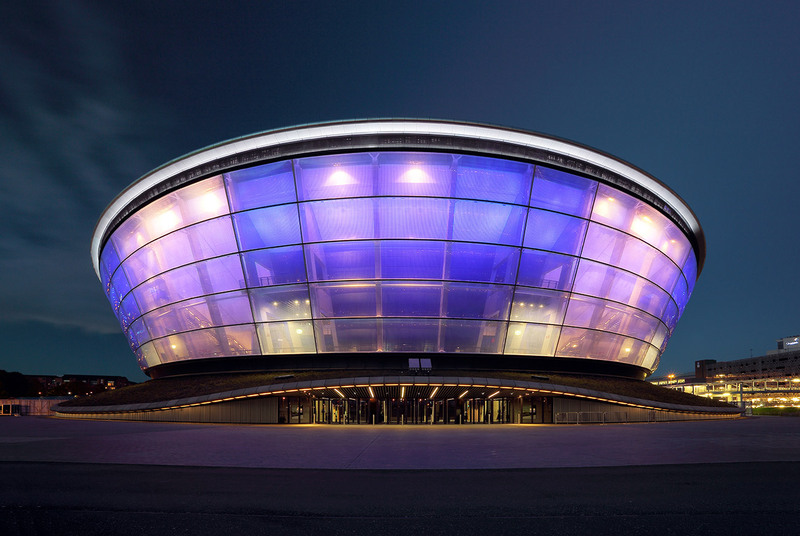 From left to right: The Clyde auditorium, Hydro Arena, and Finnieston crane. 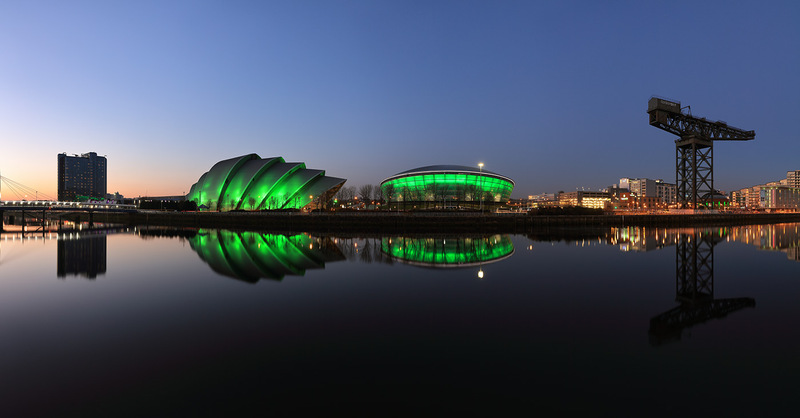 The Crowne Plaza Hotel, Clyde Auditorium and Hydro Arena lit up green and reflecting on the River Clyde at nautical twilight. Evening twilight reflection of the Glasgow Clyde Arc bridge over the River Clyde. 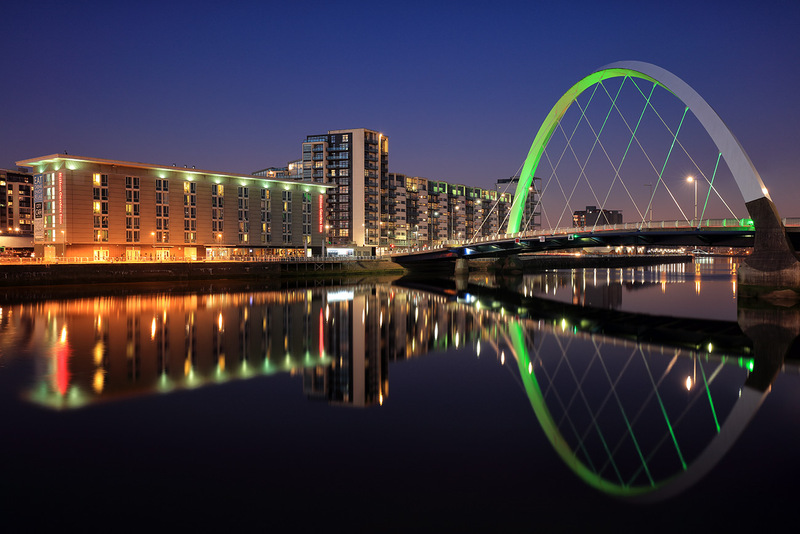 The Glasgow Clyde Arc bridge photographed during nautical twilight reflecting on the River Clyde. 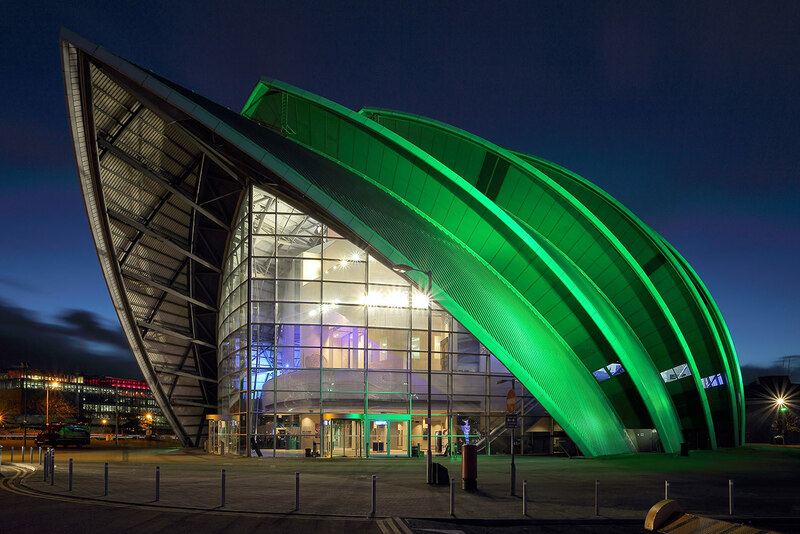 Night shot of the Glasgow Armadillo Auditorium.